Smyth, F. (2016) ‘Fine-tuning and Demolition: The First Acoustics Laboratory at Britain’s Building Research Station’ in Campbell, J.W.P., et al (Eds.) Further Studies in the History of Construction, Cambridge: Construction History Society, pp. 371-380. Smyth, F. (2014) ‘More than a Machine for Living In: Science, Noise and Experimental Housing’ in Journal of Construction History. vol. 29, 2, pp. 103-120. Smyth, F. (2014) ‘A Centenary of Architectural Acoustics: Hope Bagenal and Wallace Clement Sabine.’ in Proc. of Institute of Acoustics, vol 36, London: IOA. Smyth, F. (2014) ‘Acoustic Design in the 1930s: Robinson and Keefe’s Church of Corpus Christi, Dublin’ in Campbell, J.W.P. et al (Ed.) Construction History, Cambridge: Short Run Press, pp. 377-390. 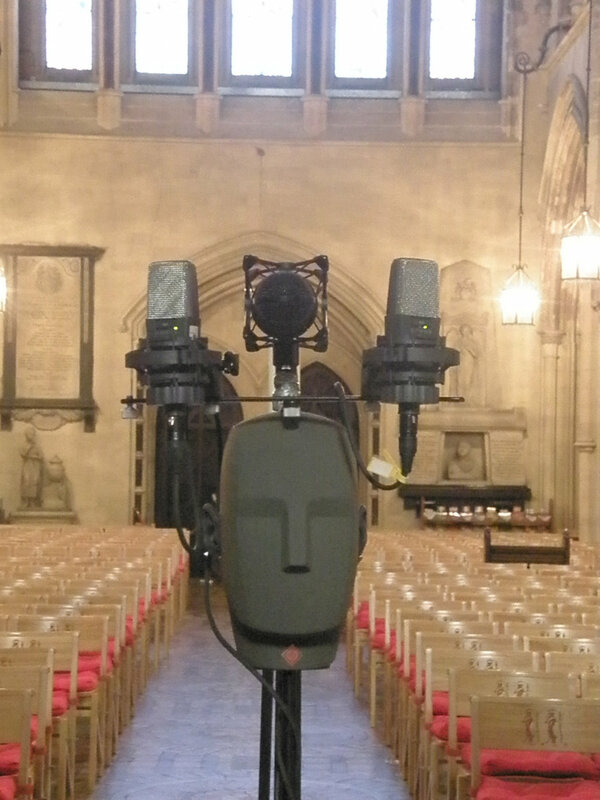 Kearney, G. Gorzel, M., Smyth, F., Lennon, D., Boland, F., and Rice, H. (2011) ‘Real-Time Walkthrough Auralisation of the Acoustics of Christ Church Cathedral, Dublin’ in Proc. of Institute of Acoustics, vol 33, London: IOA, pp. 244-258. Smyth, F. (June 2017) ‘Pistols in St Paul’s Cathedral’, Faculty of Arts and Sciences Symposium, Harvard University. Smyth, F. (March 2017) ‘Cathedral Acoustics’ University of Hartford, Connecticut. Smyth, F. (November 2016) ‘Building Performance/Shaping Response’, Peak Performance Symposium, Harvard University. Smyth, F. (April 2016) ‘Music, Munitions and Misunderstandings: Controversy and Acoustics in 1920s Britain’, Acoustical Society of America Meeting, Acoustical Society of America, Greater Boston Chapter. Smyth, F. (April 2016) ‘Fine-tuning and Demolition: The First Acoustics Laboratory at Britain’s Building Research Station’ Construction History Conference 2016, Queens’ College Cambridge University. Smyth, F. (February 2016) ‘On Sound in Architecture' for Interiors, Environments, Atmosphere, Graduate School of Design, Harvard University. Smyth, F. (2015) ‘Building as Instrument: ‘Designing for Musical Tone’ Galpin, Society, Institute of Acoustics, Royal Musical Association Joint Conference, Cambridge University. Smyth, F. (2015): Designing the Question: Acoustic Surveys in the 1920s’ IOA International Conference on Auditorium Acoustics, Paris, France. Smyth, F. (2015) Construction and Destruction: The First Acoustics Laboratory at Britain’s Building Research Station, Modern Sciences Seminar, Harvard University. Smyth, F. (2015) ‘Music, Acoustics and Medieval Architecture’, Acentech Acoustics, Cambridge, Massachusetts. Smyth, F. (2015) ‘Science as Applied to Building’: Science Construction and Architectural Acoustics in Britain (1914-1954)’ History of Science Seminar, Harvard University. Smyth, F. (Oct. 2014) ‘A Centenary of Architectural Acoustics: Hope Bagenal and Wallace Clement Sabine.’ Institute of Acoustics 40th Anniversary Conference, Birmingham. Smyth, F. (April 2014) ‘Acoustic Design in the 1930s: Robinson and Keefe’s Church of Corpus Christi.’ Construction History Conference 2014, Queens’ College Cambridge. Smyth, F. (November 2013) ‘Transatlantic Communications: Sound, Space, and Science.’ History of Science Society Meeting 2013, Boston, USA. Smyth, F. (July 2013) ‘464 Forms of Construction: Siteworks and the Quest for Acoustic Data.’ 24th ICHSTM (International Congress of History of Science, Technology and Medicine): ‘Knowledge at Work’ Manchester. Smyth, F. and Lennon, D. (2012) ‘Data Capture, Modelling and Auditory Analysis in Christ Church and St Patrick’s Cathedrals, Dublin.’ 3rd SPAR POINT Europe Conference on 3D Data Technology and Innovation, The Hague. Kearney, G. Gorzel, M., Smyth, F., Lennon, D., Boland, F., and Rice, H. (2011) ‘Real-Time Walkthrough Auralisation of the Acoustics of Christ Church Cathedral, Dublin.’ IOA 8th International Conference on Auditorium Acoustics, Dublin. Smyth, F. (2010) ‘Scales of Interaction: Aligning the Qualitative with the Quantitative in Architecture and Music.’ 7th AHRA (Architectural Humanities Research Association) International Conference: ‘Scale’ Canterbury, England. Smyth, F. (2010) ‘Acoustic Interludes: Studies in Christ Church and St Patrick’s Cathedrals.’ Architecture and Music in Context, The Mansion House, Dublin. Smyth, F. and Lennon, D. (2009) ‘Drawing on the Digital: Analysis and Modelling in Architecture and Music.’ 6th DRHA (Digital Resources for the Humanities and Arts) International Conference: ‘Dynamic Networks of Knowledge’ Belfast, N. Ireland. Smyth, F. (2008) ‘The Audible and the Inaudible’ Architectural Research Seminar, Trinity College Dublin, Dublin. Smyth, F. (2008) ‘Examining the Impact of Context: Sir Richard Terry, Hope Bagenal and Robert Fayrfax’ Research Seminar on Architecture and Urban Design, University College Dublin, Dublin.